Smartphones, tablets, and other mobile devices have gained popularity as educational tools in part because of the belief those devices could cut across the digital divide created by socioeconomic boundaries. Now a new study reinforces that perspective, finding that students' access to mobile devices, in this country anyway, is more often a question of parents' attitudes toward mobile learning than a family's income or the mobile device provisions of that family's local school district. The report published by Grunwald Associates and the Learning First Alliance with support from AT&T, found that, according to data from a representative nationwide sample of nearly 2,400 parents, more than four in five K-12 students at least occasionally use some sort of computing device, including mobile devices like tablets or smartphones, or laptop computers. Further, although there was some association between parent income and the 18 percent of students who don't use devices at home, more than half of those non-using students were found to live in houses where parents own at least one such device, often a smartphone. Income did affect the number of computing devices per household, however. Overall, the study found families with an income of under $25,000 were found to own an average of 3.3 devices per household, a figure that includes desktop and laptop computers, tablets, and smartphones and other mobile devices. Families with an annual income of more than $150,000 had nearly twice that many devices, on average. In terms of support, a majority of responding parents saying they believed mobile devices could be positive educational tools for their children. "Majorities of parents believe that mobile devices and applications offer fun, engaging ways of learning, connecting and communicating," the report states. "When it comes to mobile devices and education, most parents believe that these devices open up learning opportunities, benefit students’ learning and can engage students in the classroom. Many parents also believe that mobiles and apps teach academic skills and content." Further, although parents' attitudes toward mobile learning were found to be influenced by whether their children experienced mobile learning opportunities at school, parents also reported being far more likely to consider supporting their students' education with a mobile device than their children's school districts. Some 45 percent of parents said they either had already purchased or planned to purchase a mobile device to support their children's education, and 56 percent said they'd be willing to purchase a mobile device if their child's school required it. About half of parents' high school students carry smartphones to school, parents said. By contrast, only 16 percent of schools had a policy that allowed students to use their own mobile devices in class, according to parents, while only 17 percent said their children were required to use a mobile device—owned either by the school or the student—as part of their education. “I think it reflects … the disconnect between the school environment and the broader household environment in which kids exist,” Grunwald said. 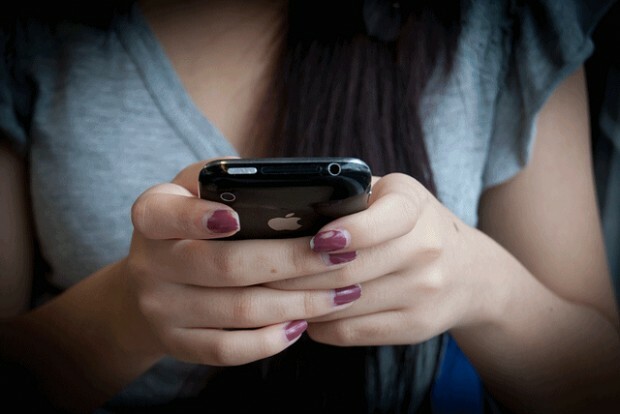 MOBILE IN SCHOOLS: By high school, half of all students (51 percent) carry a smartphone to school with them every day. So do more than one in four middle school students (28 percent). Overall, 25 percent of all K–12 students take a smartphone to school every day, according to their parents, including 8 percent of students in grades 3–5. Sixteen percent of all K–12 parents, and almost one in four parents of high school students (24 percent), report that their child’s school allows students to use family-owned mobile devices in the classroom—often called a “bring your own device” (BYOD) approach. Given that half of all high school students take a smartphone to school every day, however, some students seem to be powering down their devices in the classroom, or using them under the radar. Some schools require students to use portable or mobile devices—which could be school- or family-owned—in the classroom. This could be a signal that technology that can move between homes and schools could become essential for academic learning. Overall, 17 percent of K–12 parents report that their child’s school requires students to use at least one portable device (such as a laptop, notebook, netbook or ultrabook) or mobile device in the classroom. More than half of parents believe that schools should make more use of mobile devices in education. At the same time, many parents look to teachers and schools for guidance on helping children use mobiles and apps for educational purposes. Parents aren’t waiting for schools to make the move to mobile learning. Already, 45 percent of parents report that they plan to buy, or already have bought, a mobile device to support their child’s learning. Fifty-six percent of parents say they’d be willing to purchase a mobile device for their child to use in the classroom if the school required it. GIRLS VS. BOYS: Parents of girls were slightly more likely to support the use of mobile devices for education than were parents of boys. Grunwald said the finding is consistent with past research that has shown girls to be more consistent and more intense users of social media for the sake of socialization and community building. YOUNG VS. YOUNGER: Parents of students in grades K-2 were more likely to vouch for the effectiveness of mobile education than parents of students in grades 3-12. Although the study did not directly explore the reasons why parents of younger students showed that response, Grunwald said the discrepancy goes beyond parents of younger children simply being younger themselves, and thus more tech savvy. “A substantial part of this correlation is attributable to the perception that some of the newer devices, in particular tablets, do in fact lend themselves to younger kids' use,” he said. The evidence for that conclusion comes from previous research in the field, he added. LACK OF INFLUENCE: While the study focuses mainly on quantifying use habits and attitudes of parents and children, there is little direct data to explain what influences these, Grunwald said, meaning any conclusions as such are educated guesses at best.